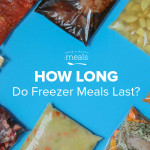 How Long Do Freezer Meals Last? 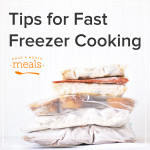 A resource on how long freezer meals will last, as well as links for properly wrapping and storing food in the freezer. 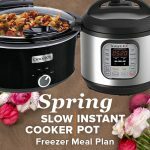 Freezer cooking can be done with a little or a lot of time, and taking just a few minutes to do a little prep saves a lot later on. 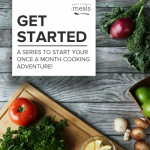 One of the biggest challenges in once a month cooking can be keeping track of all those delicious meals that you’ve made and stored away in your freezer. 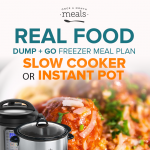 Our freezer inventory worksheet can help keep count of those freezer meals so that you don’t have to throw anything away. 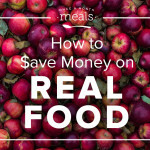 Transitioning our eating habits can have a remarkable benefit to our health, but food is not the only potential source of toxicity in our daily lives. 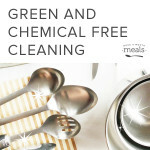 Christine from i Dream of Clean and Spring Cleaning 365 shares some tips and tricks on how to tackle chemical-free cleaning. 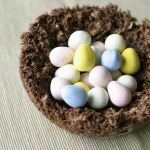 Tricia shares instructions to make your own edible spring centerpiece for Easter, baby or bridal showers, or just for a fun craft with the kids. 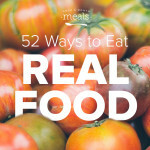 Sometimes single servings are the best way to go when sharing meals. 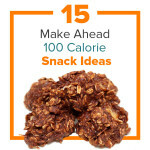 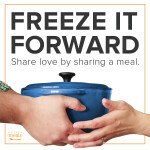 Here are our favorite tips on what to cook and how to package them for singles for Freeze it Forward. 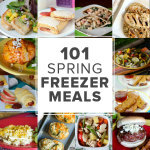 Where do you store your freezer meals? 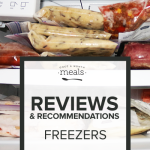 If you are in the market for a new freezer to help with OAMC, check out this helpful buying guide with freezer reviews.